It's 2014, and the statistics are saying that online shopping and banking is on the rise again. Years ago people treated online financial exchanges like the plague. But the technology is improving, the security strengthening, and the websites becoming more vested in making sure things work properly. You might do everything online, or perhaps you have yet to make an E-bay or Amazon purchase in your lifetime. Either way, you have at least heard of online finances and probably realize that someday you won't be able to avoid it any longer. I have no intention of selling the concept of using the internet to make financial exchanges. That concept sells itself. I am not trying to change your mind if you don't like it. Fine. Don't like it. Doesn't bother me. My goal is to share some knowledge with those people that either already are using the internet for financial reasons, or plan to in the near future. I have been fortunate in my years online, but there have been some close calls that taught me a lesson. In my earlier days of shopping online, I would dig through the trenches of the internet trying to find websites that sold a product for the cheapest price. My opinion has changed. 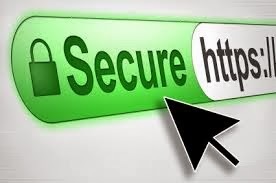 Small-scale websites, even if they are legitimate, often lack the money to have state-of-the-art security measures. Furthermore, most of the recent cases of identify theft or fraud that I have heard about have been on small websites. It doesn't mean Walmart.com, Target.com, Amazon.com, Ebay.com are invincible, but it does mean they have billions of dollars at stake to make their sites bomb-proof. If a leak is detected, they WILL fix it fast. I buy mostly from Amazon.com, but occasionally I use Overstock.com, TigerDirect.com, Newegg.com, Ebay.com, or Walmart.com. It all depends on what I'm looking for and how fast I want it. It might seem like this would thwart the startup of new websites, but I've noticed many newer websites have been using PayPal or some other trusted financial service on their websites to guarantee customers a safe and fair exchange. Look for websites that have such services and avoid websites that look unprofessional or low quality. The appearance of the website says a lot about the quality of the company. As for banking, I'm not sharing where I bank on my blog! But I will say they have good security. Your bank's website should have requirements for passwords (e.g. no passwords like "1234" or "password"), security questions, and often a "site key"--an image that is uniquely associated with your account that a fake website should not be able to duplicate. As a word to the wise, choose different passwords for different bank sites and keep a record of your usernames and passwords. Where you keep this record is up to you. Hard copies are limited by location, but if you keep the record online, that is a security risk. If you decide to keep your password log online, disguise it with a file name other than "Password List". 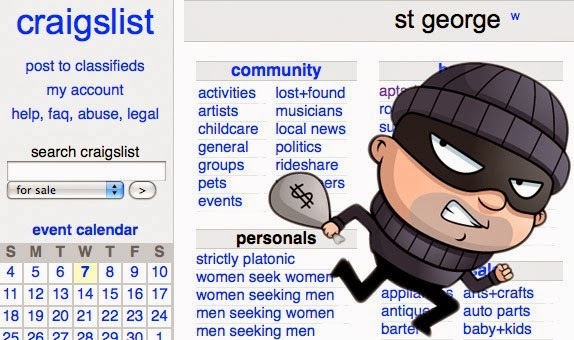 Don't make it easy for identity thieves! Even within your record, you don't need to write the whole password down. You can give yourself hints, such as "My dog's name and the year I sold my house in Texas". That way if somebody gets your file, they're still stuck. #2 Never give your login information to anyone! This should fall under the category of "common sense", but it needs to be said. Any website that has access to your credit card or bank information is a direct link to your livelihood. The only person that should know your login is your spouse. Guard it like your social security number. No company will EVER, EVER, EVER call you or email you and ask for your login information! This never happens. If it happens, it is a scam. I promise. Scam, scam, scam. Even if the company logos are all over the email or the person on the phone sounds really nice and smart, it is a scam. Phishing (What is that?) is a global problem that targets gullible people on the telephone. If you get a suspicious email, don't click any links or call any of the provided numbers. Call your company or bank to check if the email is valid. Regardless of how much you like your friend or acquaintance or trust your brother-in-law, it's just not a good idea to give someone your login information. They might not do anything on purpose to hurt you, but just letting that information out is bad policy. If someone else logs in to your account on a computer you don't use, that information could end up stored on that computer--usernames and passwords. If they accidentally allow this, the next person on that computer could have access to your account! One time my wife and I nearly had a big problem. She received a fake email from an E-bay scam that asked her to email her login information. She sent it and told me a few minutes later after she started having doubts. We immediately changed our E-bay login information and monitored E-bay and Paypal accounts very closely for a few weeks. For sake of thoroughness, I must also mention that social networking is not the place to share ANY financial information. Email is not secure either. If you absolutely need to transmit financial information, find another way to do it. Postal mail is probably the best way. (A) Check boxes saying, "Keep me logged in" or "Remember me"
These features keep your login active even if the browser window is closed and re-opened. Most websites (like Amazon) will still require your password to be entered prior to a purchase being made, but those are just safety nets. Don't plan on them to catch you. Most apps on smartphones and tablets save your login information automatically so you don't have to type the password in every time you open the app. Convenient, but dangerous. If you are going to shop and bank with your tablet or smartphone, password protect it! You might inadvertently store your personal information on the computer for someone to find later. Public networks are susceptible to interception. Recently I logged into my G-mail account at a Starbucks via their wireless network. A day later Google told me someone had tried to access my account from somewhere in Indiana (I don't live there!). I promptly changed my password for my Google account and made other changes to accounts based on the assumption that someone might have opened my email and taken information from online purchases and banking transactions. You can use these public networks, but beware of doing financial things on them. 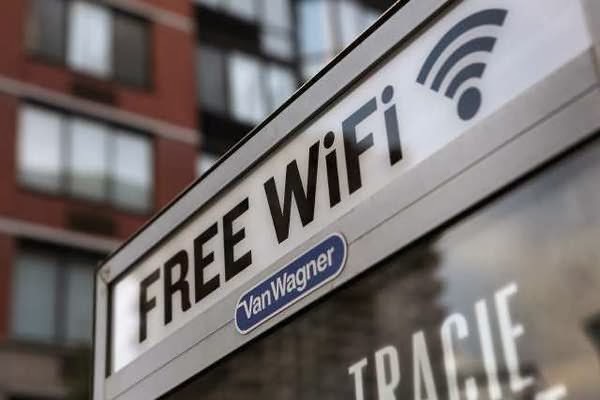 On a similar note, if you have a wireless network in your home, please put security measures on it and use a good password! Otherwise you're asking for someone to hack into your network and get access to your computers. I know, I know. It's a huge pain. But so is cleaning up identity theft! There are guides available for how to make good passwords, but most of it is common sense. We often choose passwords because they are easy to think of and remember, but that can come back to haunt you. Choose combinations that are strange and only make sense to you. For instance, if your dog likes to eat tacos, make your password "Fido1736TacoFeeder?". You don't have to be brilliant, just crafty. 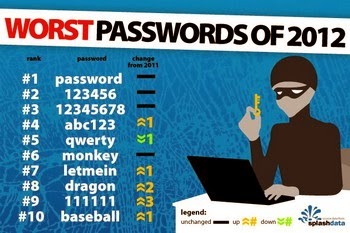 Change your passwords at least once per year. Better if you do it every six months or so. If you want all your passwords to be the same, that's fine, as long as you change them regularly. Just remember, if someone gets your information, you'll need to change ALL your passwords right away before they get into your stuff! 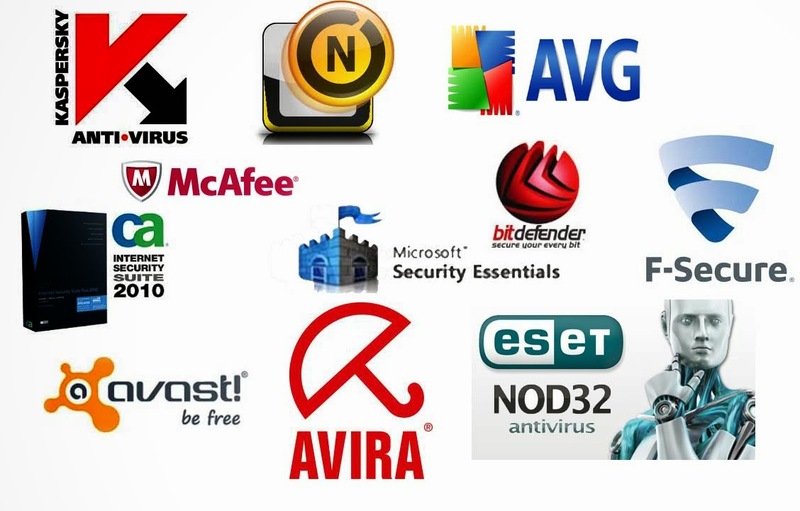 I have used Avast Antivirus software for years on all my PCs. I use the free version because I'm cheap, but they have upgrades you can purchase if you do that sort of thing. Other good companies are McAfee and Symantec, but I've never been willing to pay for them. Why exactly should I pay for something that's free? These programs will slow your computer down some because they're scanning all your transmissions, emails and downloads; but it's worth it I think. Aside from the danger presented by meeting total strangers in unfamiliar places, Craigslist has many other traps. I like the site, don't get me wrong. I use it fairly often, but I've learned over the years that it is FULL of scams. They do their best to get rid of them, but scammers are like E. coli--everywhere all the time. (A) Never, ever, ever, send money directly to a person or "company". (B) If it's too good to be true, it's not true. It's a lie. If you see a 2010 Toyota Camry with 37,000 miles on it that looks pristine, and it's listed for $2400--it's a scam. Flag it and move on. (C) If you're selling, only accept cash. No checks or money orders. (D) If you're buying a car, pay a mechanic to look it over before buying it. (E) Try to meet people in well-lit, public places with lots of people around. Unfortunately, even places like this have robberies occur. Bring your cell phone; and if you have a permit to carry, bring your gun. People love to text these days, but it still scares me sometimes when it's a stranger. I like to hear a person's voice and hear what's going on in the background. Of course, it's not bomb-proof, but I have received good and bad impressions from people after talking to them on the phone. Sometimes I decide not to do business with people based on it. Texting gives you nothing except a glimpse into their spelling capabilities (or lack thereof). I hope all of you have a safe online experience. Few things are more inconvenient and frightening than having someone steal your financial information. If you follow these practices and keep your eyes and ears open, you'll be more likely to avoid damages.